Painting children’s nails may seem like harmless fun, but you may want to think twice. We put significant trust into nail polishes and salons, especially those labeled toxin-free, but what exactly is being placed on our little one’s hands and feet? Is it safe? Are these products really suitable for kids? 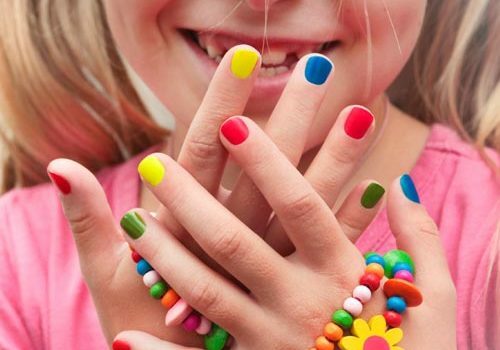 The growing popularity of beautifully adorned nails means kids are being exposed to the idea on social media and TV from an even younger age. So it’s no wonder children are engaging in adult-like behaviors before their time. But as a parent, before you start painting children’s nails, there are a few things to consider. The beauty industry has a secret they don’t want you or your children to know: toxin-free is really not toxin-free. There are minimal regulations for cosmetics, and safe ingredients is not one of them. Cosmetics can literally place any label they please on products, and there aren’t too many people stopping them. But more and more scientific investigations are exposing them. One study conducted on 25 popular brands of nail polish claiming to be non-toxic demonstrated that 12 of them did, in fact, contain chemicals they claimed to not have, 4 of which had extremely high—even, dangerous—levels. A number of nail polishes with high levels of certain chemicals have been linked to health ailments including nose bleeds and rashes, and in more severe cases, birth defects, asthma, and many other medical conditions. Of course, employees of nail salons are most prone to these toxins, but without a doubt, customers are exposed too. Those most vulnerable are children and pregnant women. The three most harmful substances, noted by the California State Cosmetics Act as causing cancer and birth defects, are toluene, dibutyl phthalate (DBP), and formaldehyde. Are people knowingly painting children’s nails with these? Probably not. But by spreading this knowledge, we can inform parents and make every effort to keep both ourselves and our children safe. What’s In The Polish That Makes Painting Children’s Nails so Toxic? When painting children’s nails, you need to be on the lookout for the toxic-trio: toluene, dibutyl phthalate (DBP), and formaldehyde. These three components should be banned from any substance that comes into contact with humans, plants, or animals. Air pollution, both indoor and outdoor, has become a major environmental concern and has come under the scrutiny of global organizations like NATO and WHO. Global movements are being launched to stop the decline of air quality, which has been happening for years as more and more pollutants are transmitted into the atmosphere. Since indoor air quality is a concern for children with allergies, asthma, and chemical sensitivities, it’s important to know what is safe. A nail salon is not a safe place since you will constantly inhale and absorb known irritants. The air inside a nail salon is so saturated with fumes from chemicals evaporating frompolish, polish removers, nail hardeners, and adhesives, and into the air. And this isn’t only while chemicals are in use, but even after they are thrown away, as cotton balls and open containers continue to emit fumes from the trash can. Should you decide to engage in painting children’s nails by bringing them to a salon, you’ll want to ensure the facility you visit has proper ventilation to dissipate chemical-laden vapors. Or if you’re painting children’s nails at home, you may want to do it outdoors or on a well-ventilated porch. Did you know the nail dryer used at the salon with that pretty blue light is ultraviolet (UV) light? Did anyone inform you of the damage you could be causing to your hands, or your child’s hands, from too much exposure? A child’s skin is extremely sensitive, with thinner underdeveloped melanin, therefore, their skin burns more easily than an adult. Too much-unprotected exposure to the sun’s UV rays is bad for hands and can cause skin damage, or even cancer. You may think a 6-minute drying session can’t possibly harm you, but one UV nail session is equivalent to one session in a tanning bed. Moreover, skin problems can show up years later. Be proactive, especially when painting children’s nails, and use sunblock, or just avoid the UV dryer altogether. Use your own non-toxic polish whenever possible. Find the most ventilated area in the salon or house by sitting near a window, open door, or outside in the fresh air. Eliminate visits to the nail salon if you are pregnant. Wear a mask when getting your nails done. Verify the nail polish ingredients are safe by looking them up on the Environmental Working Group Website. What Message Are We Really Conveying to Our Kids? Yes, the occasional act of painting children’s nails or a visit to the salon can bring moments of fun, but what message are you hoping to convey to your children? Many parents avoid painting children’s nails, as well as makeup sessions, for reasons beyond the importance of avoiding toxins. They fear children may begin to feel their beauty and worth depends only on superficial things, and parents want to avoid thoughts like their hands are boring and ugly without polish or their face is unattractive without lipstick, mascara, and eyeshadow. Children may come to view “natural” as boring and undesirable. With social media so prevalent in our kids lives from such a young age, their exposure to fake, enhanced imagery, and their desire to achieve the most “likes” dominates their social lives. 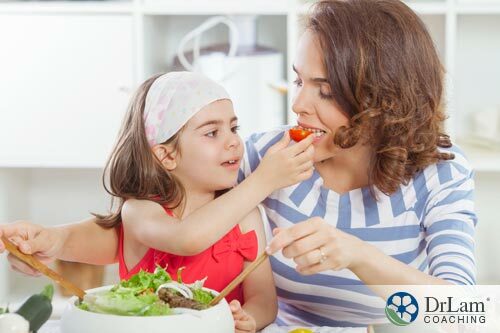 Many parents try to prolong these situations as long as possible with the hopes of instilling strong values and morals before their children are exposed at school and in social settings when Mom is no longer around to provide insights. Also bear in mind, most kids will mirror their parents. So if you’re wearing polish, your little one will want to do the same. This is how children learn. Establishing self-worth and instilling healthy thoughts from a young age are very important. Toxic Overload. What Happens To Your Body When It’s Over-Exposed To Toxins For Many Years? The body is amazing. It will keep rebooting its systems and working overtime to ensure it is running as efficiently as possible. With proper nutrition, exercise, and sleep, you can help keep your body in optimal health. However, when you are overexposed to toxins for a long period of time, at some point your body will begin to shut down. Slowly but surely, an overburden of toxins on our body’s systems will wreak havoc. It may seem like the small act of painting children’s nails is harmless, but compounded with the huge number of additional toxins we are exposed to, by the time a child reaches adulthood, they may begin to experience a stress overload. Metaphorically speaking, the body is like a bucket. When the bucket is full of toxins that it can’t eliminate quick enough, it begins to spill over in the form of allergies, illnesses, headaches, inflammation, and disease. Toxins are cumulative and can begin to collect in our buckets from childhood. 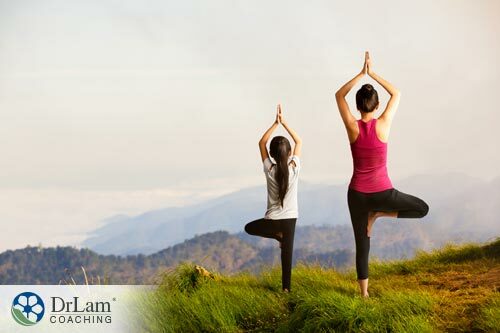 Therefore, it is important to create healthy habits from a young age and teach our children to protect their bodies. Those suffering from Adrenal Fatigue Syndrome (AFS) are fully aware of how sensitive the NEM response system is to toxins. Toxic environments put a tremendous amount of unnecessary strain on our body leading to symptoms of stress. Every day, we are exposed to toxic substances, from the water we drink to the food we eat, and even the air we breathe. Regular exposure is one of the reasons chronic conditions like Adrenal Fatigue Treatment are increasing. Is the Occasional Mani-Pedi Really That Dangerous? In conclusion, there is an ancient Greek saying, “Pan Metron Ariston,” meaning everything in moderation. Don’t indulge in anything excessively. Assuming your child isn’t sniffing the bottle or chewing on their nails all day, once in a while, you may feel okay indulging with your little one at a mini spa retreat. However, since there is very little research on this particular scenario, and we are very aware of risks of toxic chemicals, poisoned air, and UV exposure that exist in these environments, it’s probably best to avoid taking your child to a salon unless there is excellent ventilation, safe nail polish options, and your nails are naturally air-dried.